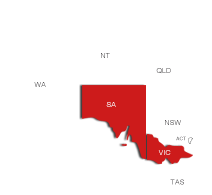 Grazing land price in the far South West of Victoria ranges from $3500 - $4700 per acre (updated 9th Nov. 2018). Land prices are from our experience on the rise as farmers get more money in their pockets. The main drivers being low interest rates and good returns from fat lamb and now a sharp rise in cattle prices. Even though both lambs and cattle prices have come back, they are still giving very high returns. Dairy farmers are still willing to pay up $5000 plus depending on infrastructure and location for an example an adjoining property. The Reserve Bank of Australia board met today . December 2018. Call us and let Rams Real Estate find that tailored property investment for you.